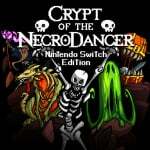 When it first released on PC in 2015, Brace Yourself Game’s Crypt Of The NecroDancer was an unexpected delight: a personable dungeon crawler on a rhythm game base, it combined the procedurally-generated levels and relentless challenge of the roguelike genre with the beating heart of a dance game. Now that it’s out on Nintendo Switch - complete with all previous DLC and an exclusive new character - it’s ready to bring that same rhythmic pulse to Nintendo’s newest console, and it’s a very welcome addition; it's addictive, inventive, and irresistibly fun. 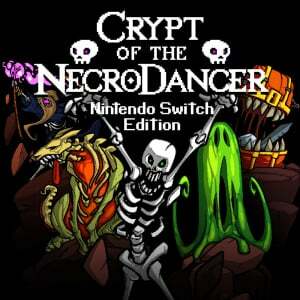 Of its two main components - dancing and dungeon crawling - COTN’s main gameplay focus lies in the latter. Like most roguelikes, you’ll start at the ground level and head downward through discrete, randomly-generated floors on a quest to beat the boss at the bottom of each area. There are enemies to fight and avoid, mini-bosses to defeat to unlock the next set of stairs, shops to sell you life-saving upgrades and equipment, and plenty of traps and secrets to discover as you go. In all these elements, COTN summons up the spirit of any old-school dungeon-crawler, and if you’ve played any recent incarnation of the Mystery Dungeon games - Pokémon Mystery Dungeon or Etrian Mystery Dungeon, for instance - you’ll have a good idea of the basics at play here. Except, of course, for COTN’s titular twist on the formula: the infectious rhythm of the dance beat that runs through it’s heart and soul. This rhythm-game spirit manifests itself especially in COTN’s turn-based system. As is common in the genre, every action - including movement, attacking, and using items - all takes place within a universal turn cycle. The difference is that here, rather than waiting patiently for you to make a move, the turn changes automatically with every full beat of the music, in time with the pulsing 4/4 tempo. Your actions only count if they hit on the beat, so every step, every attack, and every essential recovery item needs to be dialled in with rhythmic precision. If you manage to keep moving in time without skipping a beat, you’ll be able to raise and hang on to a significant multiplier - complete with disco-light effects on the dungeon floor! - which grants you more rewards from enemies and a better chance at survival. 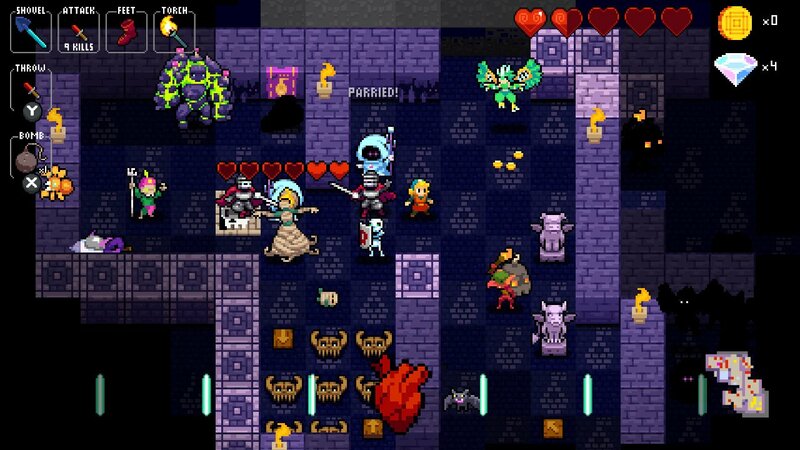 The musical component of NecroDancer gives it a feel like nothing else, and it’s as fun as it is challenging. The timing itself is extremely generous, and recalibrates automatically if you slip ahead or behind a beat, so the barrier to entry for the actual beat matching is quite low — you won’t need the syncopation skills or heightened hand-eye coordination demanded by straight rhythm games here. Instead, the considerable challenge comes from the fact that the constant march of the metre requires you to think and act at speed, making the dozens of little decisions that go into dungeon crawling without the luxury of stopping to consider your choices. The beat, in other words, must go on. Because of that pace - which increases steadily as you descend into the faster BPMs of lower levels - COTN is hectic and thrilling where other roguelikes are measured and methodical. Enemies boogie, twist, and slide their way around the dungeon floor in predictable rhythmic patterns, and when they gang up on you - as they frequently do - death can come from a single misstep. Bosses are even better, with complex, multilayered dance moves and chorus lines of minions at the ready. It’s incredible tough, and progress is slow, but it’s never frustrating thanks to a fun, wide-reaching system of permanent upgrades. As you comb COTN’s dancefloor depths, you’ll often come across diamonds, and these pickups can be used to purchase upgrades from the Lobby - the waiting room you’ll respawn to when you die in-dungeon. These permanent power-ups will then stick with you the next time you venture down - and every time after that - and include everything from more heart containers and coin bonuses to new items, weapons, and equipment that can show up in chests. The Lobby starts out relatively sparse, but as you find and free various NPCs in the dungeon, they’ll repay you by working tirelessly in your aid, unlocking new upgrades and items to purchase there between runs. 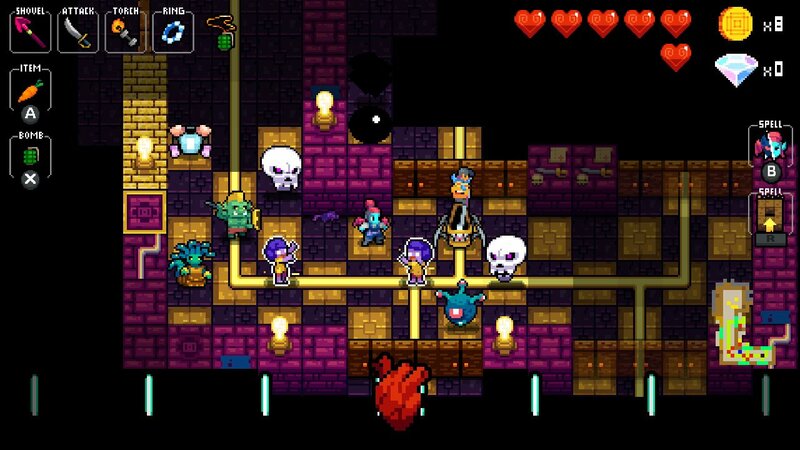 It’s a wonderfully rewarding cycle that means you’ll always get something out of a run, and every time you dive back into the catacombs will leave you just a bit more prepared for the next expedition. That satisfying cycle is enhanced by just how much there is to do in COTN, and especially on Switch. In addition to the base game’s four original areas, this version includes a Daily Challenge mode along with all previously released DLC, crowned by a fifth area (unlocked here from the start) and scores of new characters. Rather than just cosmetic changes, these new characters actually represent significant tweaks to the gameplay: one lets you move independently of the beat, for instance, fundamentally altering the goal of the game, while another requires you to keep a little lamb safe as you dive through the dungeons. There’s even a Switch-exclusive character - the Reaper - who uses the souls of slain enemies as both a weapon and shield. Experimenting with these different characters provides a massive amount of replay value, and several of them feel different enough to make you think you’re playing a new game entirely. All this content is wrapped up in a pleasingly pixel-filled presentation, too, with excellent spritework, impressive story cutscenes, and oddly adorable enemy animations. It’s retro-chic, complete with the black-on-white text trappings of the genre’s heyday, and it looks lovely on the big screen or in handheld mode. Importantly, the soundtrack is also absolutely top-notch, with original tunes by Danny Baranovsky that stay danceable even after many, many repeat listens. Each level has a different, catchy theme, and you’ll undoubtedly find yourself singing along with the shopkeeper before too long. If you want a change, the Switch edition also has several alternative soundtracks bundled in, from EDM and synthwave remixes to shredding metal and chiptune wizardry courtesy of Shovel Knight’s Jake 'virt' Kaufman. Even the Danganronpa crossover DLC tracks are included - a welcome miracle of modern licensing. Finally, it has to be said that as a quick-fire game with near-infinite replay value, COTN is right at home on Nintendo Switch. We love being able to pick it up and cut up a rug or two while around town, and its combination of procedurally-generated levels and permanent upgrades is a perfect fit for portable play. There’s even a two-player local co-op option - with single Joy-Con support - that’s a blast with the right dancing partner. A roguelike at heart with a rhythm-game soul, Crypt Of The NecroDancer is a sublime experience that’s a must-play for fans of the genre(s). 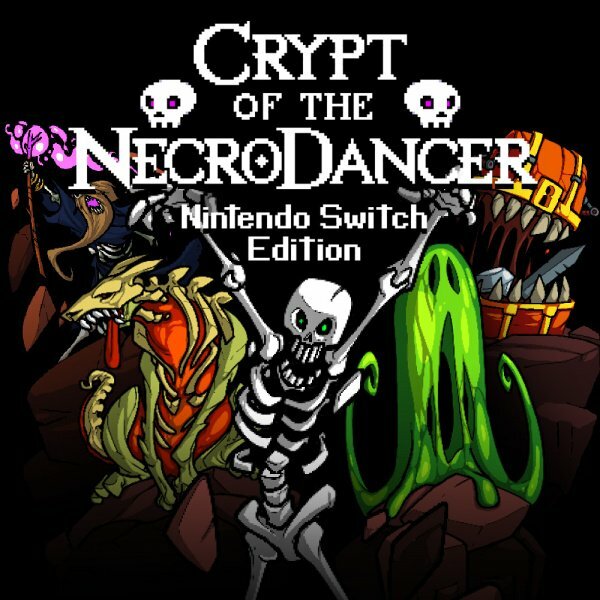 Its upbeat, uptempo take on dungeon crawling is infectious, and there’s enough content here to last even the savviest of spelunkers for many, many dance-fuelled dives into the depths — if you’ve never tangoed with the NecroDancer, this fully-featured Switch edition is the perfect way to jump in. I've put 50 hours into it since its release on Switch. So much fun. I love this game. I have it on Steam and PS Vita and as much as I want to, I can't convince myself to buy it for a third time. I am waiting for a sale maybe. For anyone who's never played it, don't hesitate! I also highly recommend this game for multiplayer. It makes the game much harder in my opinion, and you'll probably end up hating whoever you're playing with, but goodness is it ever hilarious yelling at each other. Not for me. But if you're into that sort of thing, it sounds great. Does anyone know if this is getting physical? EDIT: @SLIGEACH_EIRE I'm sure it's not for everyone, if you're not the slightest bit interested, sure, steer clear. But I would watch a video or two to get a feel for the game. It's so incredibly unique and the music is outstanding. Also, you do make permanent progress as well - both by unlocking new items/power ups, but you can also pickup on the last stage you cleared. So it's not like you are 100% starting from scratch each run, if that's the reason you dislike most Roguelikes. @roadrunner343 I've watched videos previously. It's not for me but there's plenty of other games that are. Great game! This was a day one purchase and I’ve had 10 fantastic hours out of it already. @BenAV I'm currently involved with Enter the Gungeon, 45 hrs here. CotN will stay on my Switch very soon. This rogue like genre, which I didn't know well not so long ago, is awesome. Weirdest change of perception happened to me after playing the "subjectively most 3D titles I ever played" (aka Mario Galaxy 1 & 2) for an excessive amount of time. I sat on front of my PC after a long Galaxy-session and was extremely confused as to why my desktop didn't rotate and feature gravity shenanigans. Also when nobody in my flat yelled "Wahoo!" for an extended amount of time, I sort of had to take it upon myself to change that. Bought this on Steam when it first released. Loved it but damn was it tough. 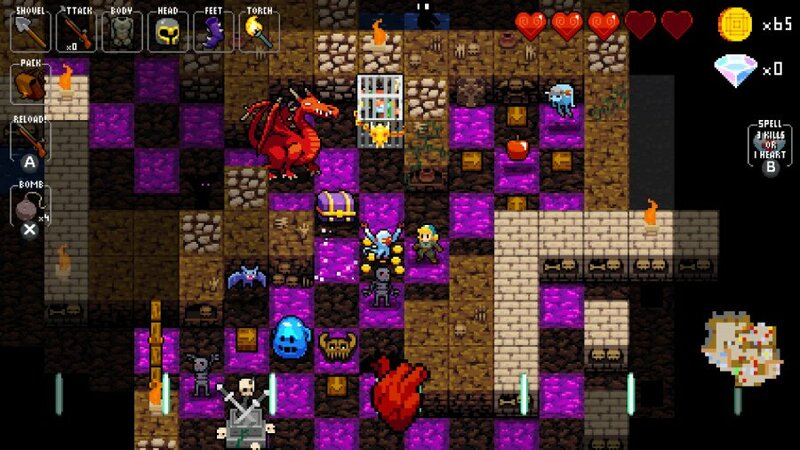 For those worried about the roguelike element, it isn't as bad as it seems. I found it felt more like an arcade style game where you had control over a few game elements between lives. Glad to see others will get to enjoy it on Switch! Does it have motion control? Or, will there be Labo support? @SuperCharlie78 They're pretty new to me too. Barely touched the genre before the Switch but I've put almost 600 hours into The Binding of Isaac and 120 hours into Has-Been Heroes as well so I've been loving them. Haven't actually been able to get into Gungeon quite as much though, only managed about ten hours. I have the rhythm of a drunken hobo, but this looks good. May download it, after all. @Daftbomb There's one character you can play at where you can move at whatever pace you like and the enemies just move after you do instead of to the beat so that might work for you. The music is a big part of the game in general though, it's not really designed to be played with the sound off. The other day when I was on the Eshop buying games it was a toss up between this and Pacman CE 2, I went with Pacman. I kind of wish I had chose COTND instead though as I really want to play it now. If Nintendolife had bothered to mention the performance issues in Pacman, I would already own this game. 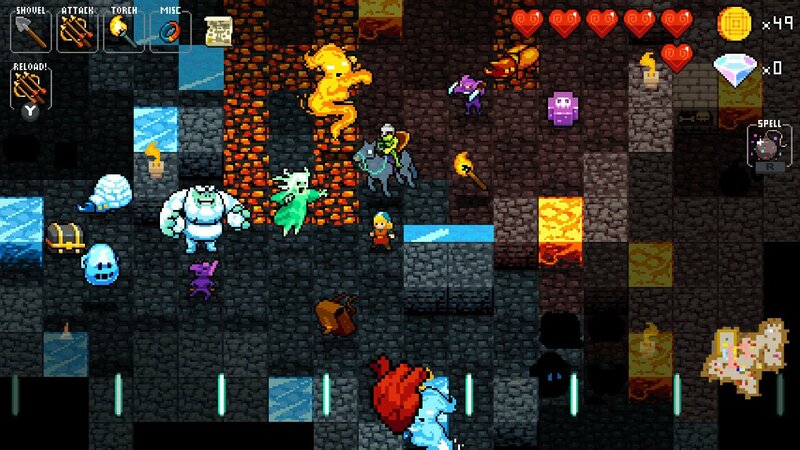 Before I bought Enter the Gungeon I had never played a Roguelike before but that brilliant game has made me a fan and I want more of it. @Daftbomb It's a lot of fun so you might be surprised. Definitely worth a shot if you can spare the funds. Never got it on steam or iOS. It i will get it for the switch. 3rd time is the charm! Have it on PC, great game... but I agree, it's among the thoughest I've ever played. Be sure not to miss it! @Daftbomb There's a visual indicator for the beat on the bottom of the screen too, and it works great for that! @chiptoon (and anyone else unsure if they'll dig the gameplay mix): There's actually a demo available on the Japanese eShop if you want to try it out! @OorWullie I wouldn't rue your decision entirely just yet. 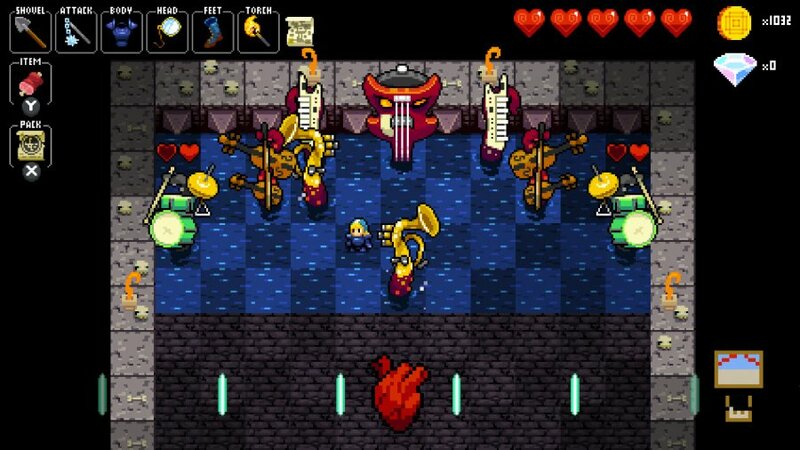 I'm a big fan of Gungeon and Binding of Isaac, and the two times I've tried this game, the rhythm aspect didn't clock for me. Which for me, tears apart the entire gameplay mechanic. I've tried on two platforms, and this game has sadly just never clicked. That said, does anyone have any tips to get hooked? @wyzworld76 Funny you say that, as I thought that could be the case for me as well and was what swung me towards Pacman. Rhythm games have been a bit hit or miss for me in the past. I might just wait for it to go on sale so if I don't like it I won't regret it as much. Glad to have another terrific indie sensation on board. I just wish the pixels on the UI could be the same size as those in the game world. It bothers my eyes very much. Thanks for convincing me guys! Getting this soon I LOVED Enter the Gungeon (+-40 hours in it already) and like roguelikes in general, so this will fit in well I think! If I bought every pixel indie game that gets high scores around here I would have way too many games that don't interest me. Sigh... if only it supported using your own music. Then it would be an insta-buy. I already have this on PS4 but I'm definitely down for a double dip!